Iced coffee on a hot afternoon. So, folks... Going straight to the point (even because I do not have much time to write a better written post... I'm in a break at my work, haha ), when the temperature is hot, what is your favorite drink? I prefer a fruit juice (orange, mango, grape, strawberry and so many others) or an iced coffee (I'm having a good one right now, by the way ). I always drink ice tea. It's also a good choice. I don't like cold coffee. I wish I did because it looks good. I would be drinking either water or ice tea. 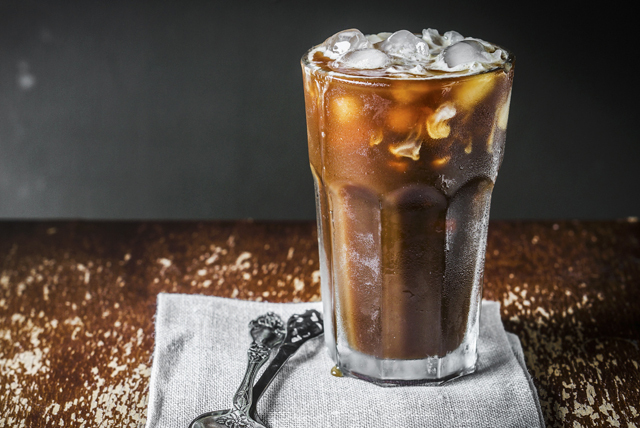 Iced coffee is great on a hot day. So are smoothies! I like lemonade. I drink it all year long.